The data was added on ,	2 November 2016 read 552 times. A commander of Iraqi popular forces of Hashed al-Sha’abi said on Tuesday that a US military plane has carried out several reconnaissance flights over his forces’ positions in Western Mosul without any prior coordination to declared intention or plan. “The imaging operation of a US military plane over our forces’ positions is suspicious. Our forces are worried about a possible attack on their positions by the US warplanes,” Arabic-language Ma’aloumeh news quoted Spokesman of Asa’eb Ahl al-Haq Jawad al-Talibawi as saying. Reports said earlier today that Iraqi Army troops and Hashed al-Sha’abi continued to drive ISIL terrorists out of more villages and positions in Western Nineveh, inflicting a heavy death toll on the militants. 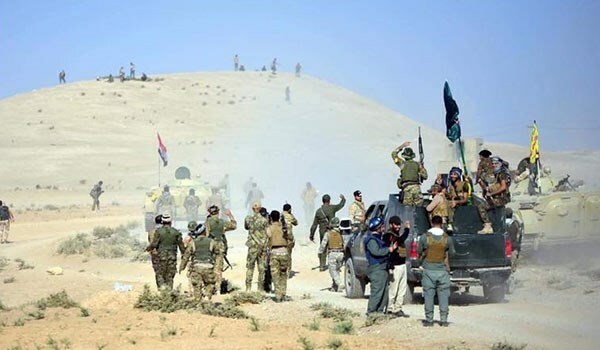 “The Iraqi government forces, on the 16th day of the Mosul Liberation Operation, struck ISIL’s positions and pushed the terrorists back from the villages of Ferferah, Imam Hamzeh, Um Sijan, al-Sayad and Abu Hajireh,” the sources said. ISIL suffered a heavy death toll and its military equipment sustained major damage in the attacks. Iraqi soldiers and popular forces are engaged in fierce clashes with ISIL in the Central street of Koukjeli region in Mosul city.